A step-by-step tutorial for a DIY grasscloth table. 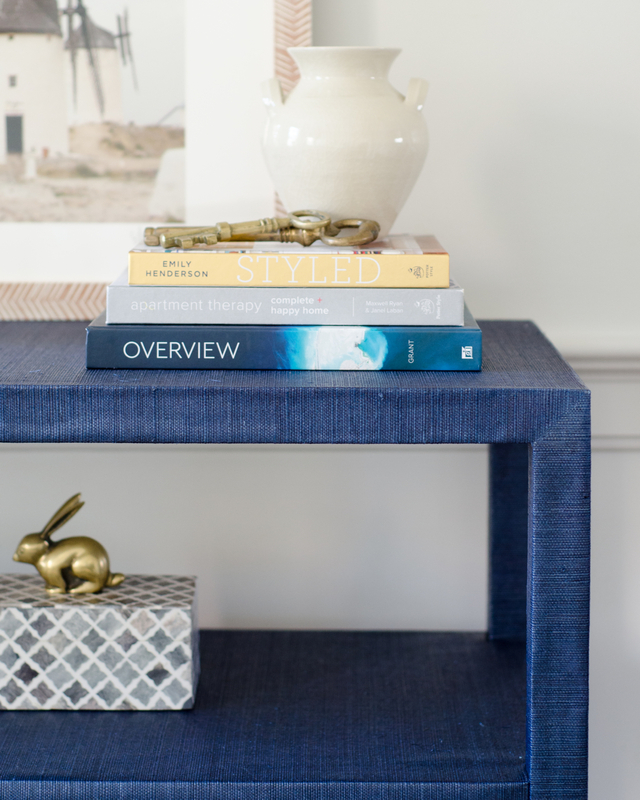 Get this high-end console table on a budget by making it yourself! 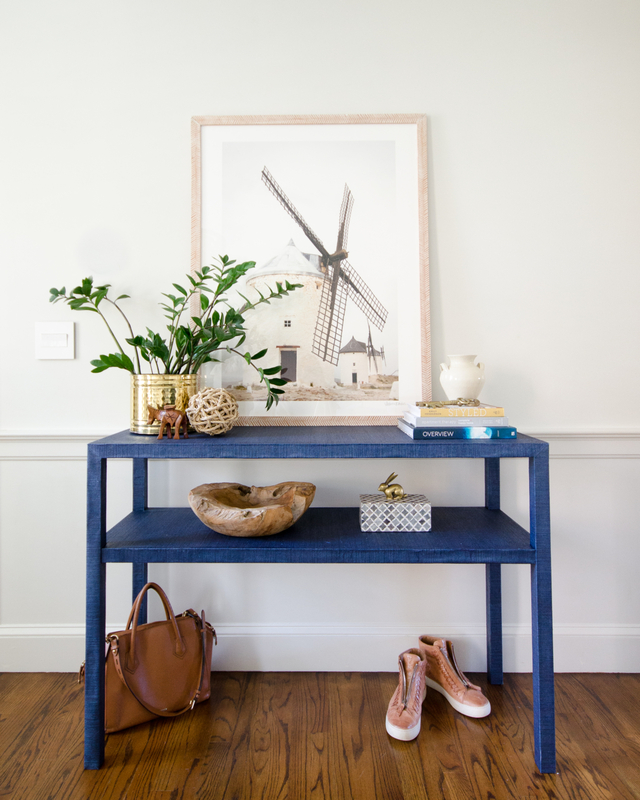 I have been so excited about this DIY grasscloth table in every way. Excited to have the console table in my kitchen instead of the (fine but) cheap, nondescript table that was there before as a placeholder. Excited to figure out how to make it myself. And excited to share it with you! I modeled the table after Serena & Lily’s Blake Raffia Console Table, which is gorgeous but expensive. And since I couldn’t justify spending $1200 plus $125 shipping on a console table for my kitchen no matter how pretty it is, I decided to make it myself. I lowered the shelf a little bit from theirs for some extra storage space but otherwise, I think it’s kind of a dead ringer. And all-in, cost somewhere around $200, not including things I already had, like a saw and drill and sandpaper and such. 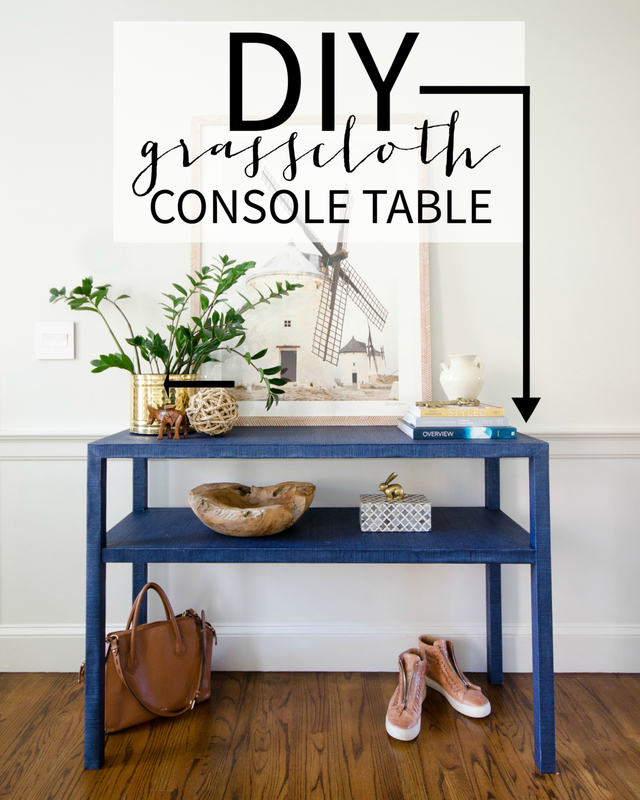 I partnered with Build Something on this DIY grasscloth table project, and have the full tutorial for the project over there, but here’s an easy clickable list for the supplies you need to complete this project. And just a couple of tips for you should you decide to give this DIY grasscloth table a try yourself. If you find you have any gaps in your wallpaper seams, which happens sometimes even when you’re very careful, get a sample pot of Benjamin Moore Hale Navy and paint the wood under the paper. It’ll disguise any gaps completely invisibly! Also, have lots of paper towels handy. Bot wet and dry paper towels are necessary to wipe away the gobs of wallpaper paste that inevitably will squeeze out of seams as you’re smoothing the wallpaper. You can find the full tutorial for the DIY grasscloth table, with images for each step, by clicking the link below! 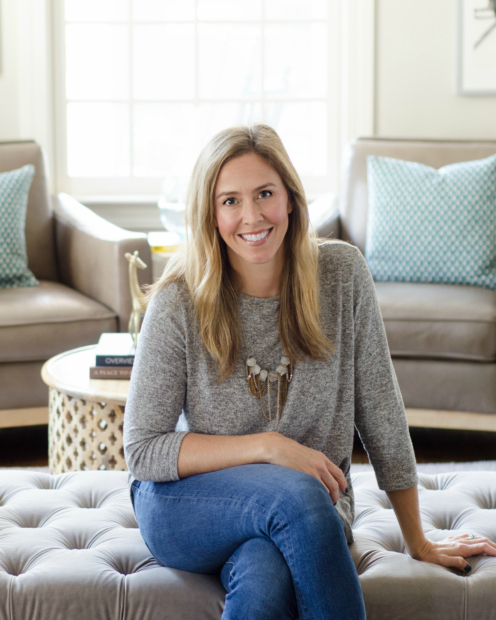 Click here for the full DIY grasscloth table tutorial! 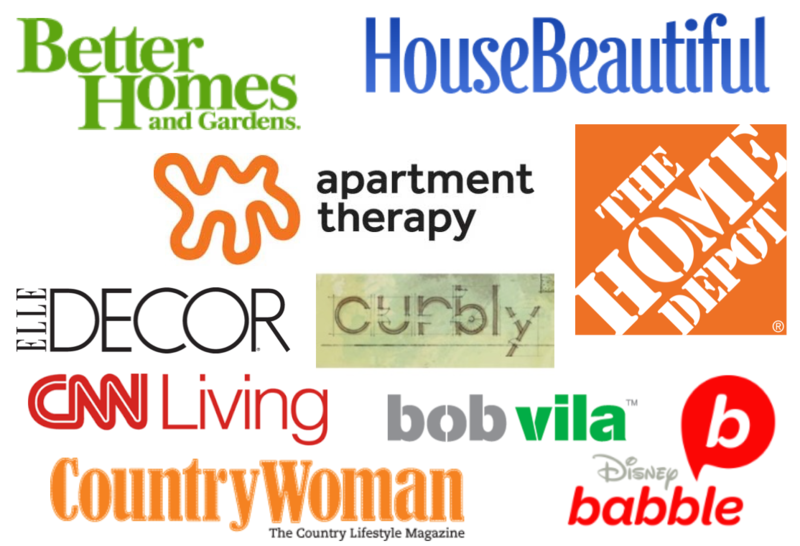 If you’re looking for other DIY building projects, you can find all of my furniture building projects HERE!